Every year 100s of billions of dollars are spent by advertisers on inspiring, persuading and manipulating people into a consumer routine which has desolating effects on the environment through its indulgence and improvidence. Advertisers play on our insecurities, create deceitful needs and offer fake solutions. They succeed in raising a certain level of dissatisfaction which directs into consumption and kids especially are defenseless to this sort of manipulation. 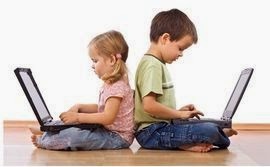 To marketers children represent a solid demographic as they are huge customers or potential ones; they influence their parents' buying decisions, spend money themselves as teenagers and will continue to do so as they become adult consumers. they show their preference when buying cereals and other standard groceries, clothing, software and computer products, family entertainment, restaurants and family trip locations and even cars. Consequently, children's "influence" is recognized by advertisers who nurture this situation and "use" kids as their marketing target. Nowadays parents are prepared to buy more for their kids as they might have dual incomes and more disposable income in addition to guilt which can play a role as well; time-stressed parents make up by purchasing material items for time spent with their offspring. One of the strategies marketers use to target children is by relying on the kid to pester the parents to buy the product, rather than going straight to the parents. The "pester power" marketing strategy creates exactly what advertisers are after as parents easily give in into their children's persistence nagging; it is extremely powerful and works. Large enterprises such as Nike, Adidas, Calvin Klein, Tommy Hilfiger, to name a few, discovered that brand recognition can be established already in very young children and purposefully changed their primary corporate efforts from making products to creating a brand name image. 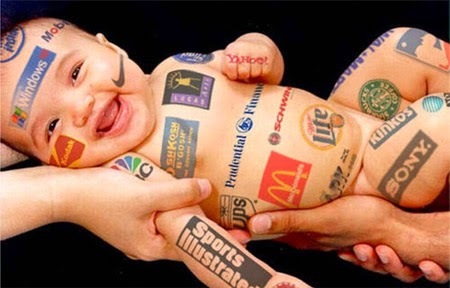 Brand recognition fundamentals are created by marketers in very young children, in the hopes that lifetime bonding with the brand is established, from the cradle to the grave. Unquestionably this is an extremely desirable medium for child-targeted marketing by marketers. Kids surfing the internet doesn't go without dangers and unethical advertising; often without parental supervision, children spend hours on unregulated sites and sophisticated technologies enable companies to easily collect information from the children for marketing research, and to target them with personalized advertising. In my opinion this is unethical as kids do not quite comprehend the commercial and persuasive intent as well as the manipulation behind advertisements until they are 8 or 9 years old. It is for these reasons that child-targeted marketing should be sensibly restricted, particularly the ones aimed at children under 9 years old. And this should include censored internet sites, television programs, and advertisements.